Globalisation of the market, law and politics contributes to a diversity of transnational sustainability problems whose solutions exceed the territorial jurisdictional limits of nation states in which their effects are generated or occur. The rise of the business sector as a powerful global actor with a claim to participation and potential contributions as well as adverse impacts sustainability complicates the regulatory challenge. Recent decades’ efforts to govern transitions towards sustainability through public or hybrid regulation display mixed records of support and results. In combination, these issues highlight the need for insights on what conditions multi-stakeholder regulation for a process that balances stakeholder power and delivers results perceived as legitimate by participants and broader society. This book responds to that need. 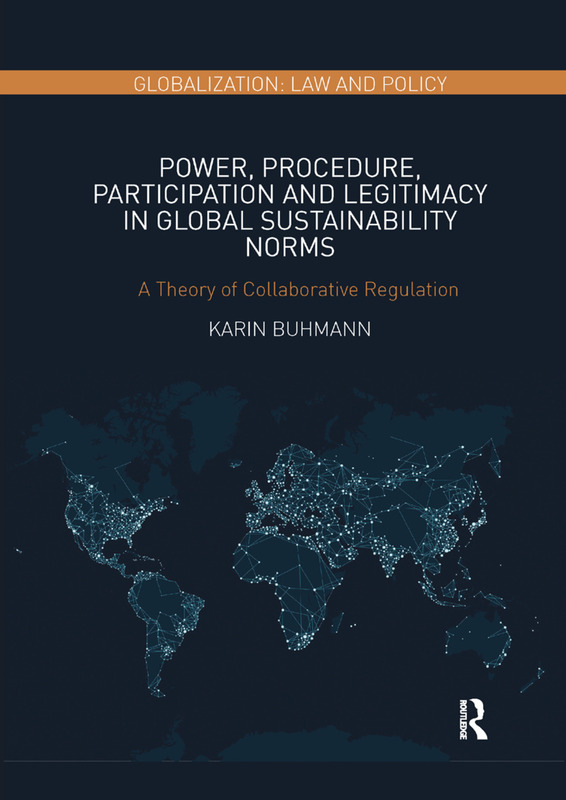 Based on empirical experience on public-private regulation of global sustainability concerns and theoretical perspectives on transnational regulation, the book proposes a new theory on collaborative regulation. This theory sets out a procedural approach for multi-stakeholder regulation of global sustainability issues in a global legal and political order to provide for legitimacy of process and results. It takes account of the claims to participation of the private sector as well as civil society organisations and the need to balance power disparities. "At a time when globalization is unprecedentedly challenged, Prof. Buhmann provides us a new thinking on how business’ impacts can better be tackled through a participatory and collaborative regulation system that organically optimizes the different but synergized roles of public institutions, private sector and the civil society, so that globalization can be sustained as it was, and sustainable as it should be." "The theory of Collaborative Regulation corresponds very well to real life negotiations on responsible business conduct, which my experience as Chair of the tough negotiations on the OECD Guidelines for Multinationals has certainly illustrated. Professor Buhmann's theory reflects the importance of representation and involvement of stakeholders. I would recommend this book because it provides useful insights in the crucial role stakeholders could and should play in regulating globalisation." "The planet that we all share appears increasingly challenged by disputes over the environment, internet, resources, human rights, etc. Karin Buhmann acknowledges that we cannot easily find solutions. In this book, she uses thoughtful arguments and case studies to posit a new global governance approach which involves civil society and could be seen by a wide range of actors as legitimate. Buhmann calls this "collaborative regulation" to balance power disparities. She has produced a thoughtful, insightful, original, and important book for scholars of human rights, law, international relations, governance and political science." Karin Buhmann is Professor in the Department of Management, Society and Communication at Copenhagen Business School. Her dedicated charge is the field of Business and Human Rights. Her teaching and research interests are in the areas of business responsibilities for human rights, Corporate Social Responsibility, sustainability and public-private regulation. She has published widely on these and related areas.